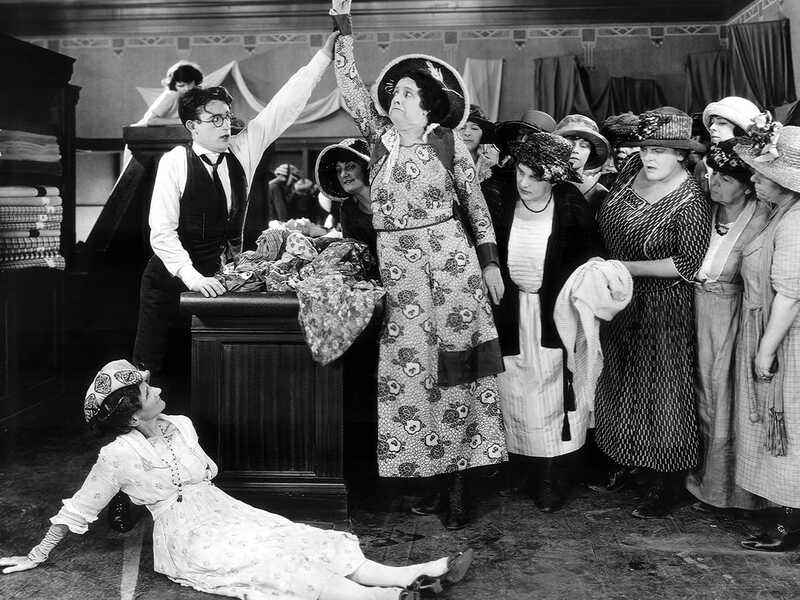 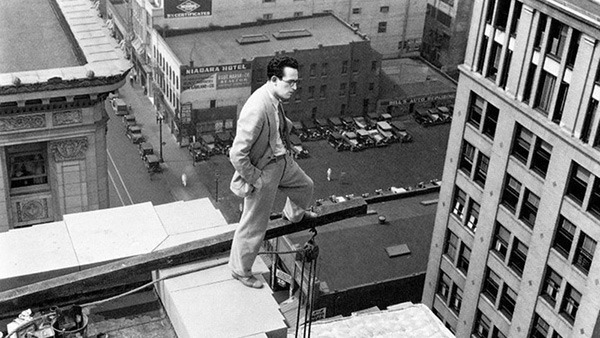 The comic genius of silent star Harold Lloyd is eternal. 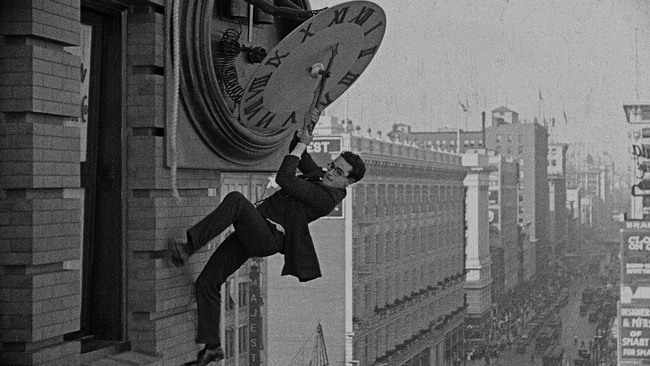 Chaplin is the sweet innocent, Keaton the stoic outsider, but Lloyd—the modern guy striving for success—is us. 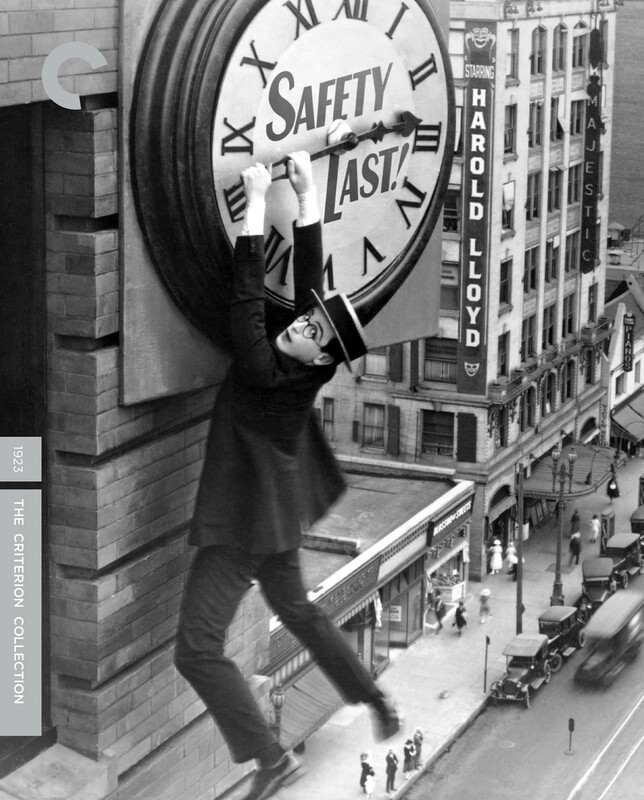 And with its torrent of perfectly executed gags and astonishing stunts, Safety Last! 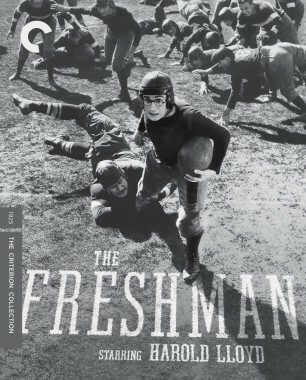 is the perfect introduction to him. 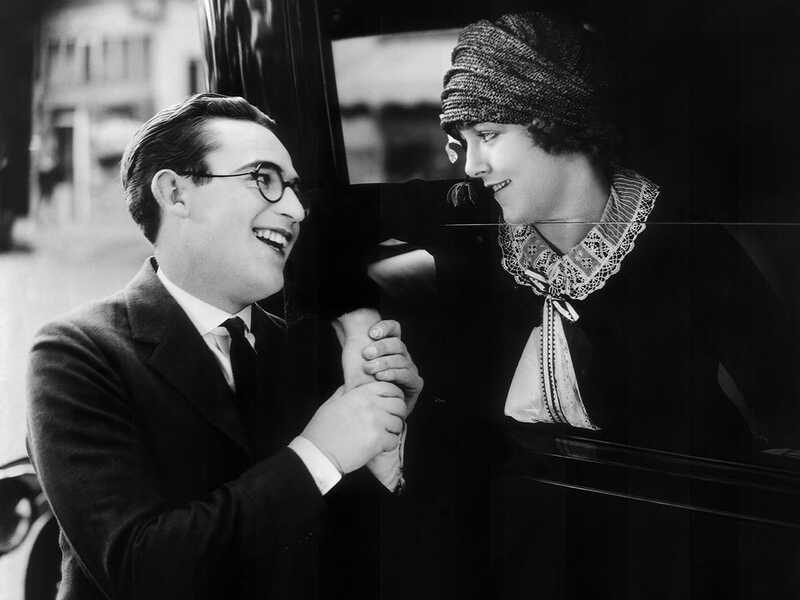 Lloyd plays a small-town bumpkin trying to make it in the big city, who finds employment as a lowly department-store clerk. 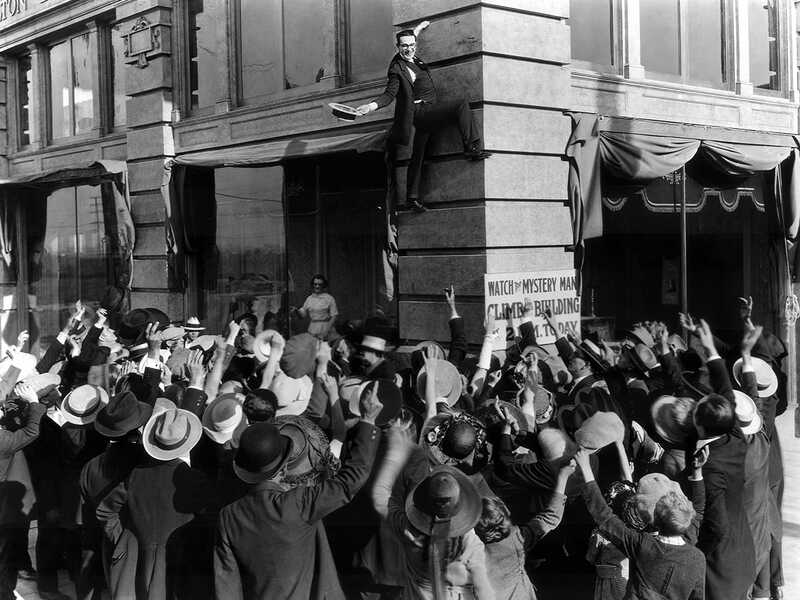 He comes up with a wild publicity stunt to draw attention to the store, resulting in an incredible feat of derring-do on his part that gets him started on the climb to success. 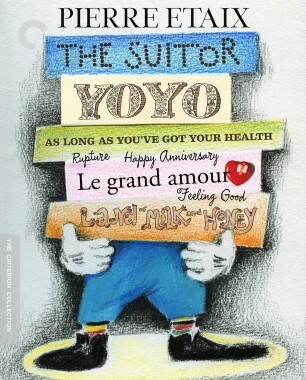 Laugh-out-loud funny and jaw-dropping in equal measure, Safety Last! 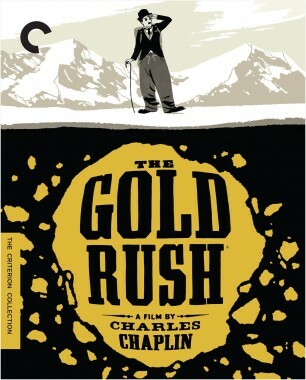 is a movie experience par excellence, anchored by a genuine legend. 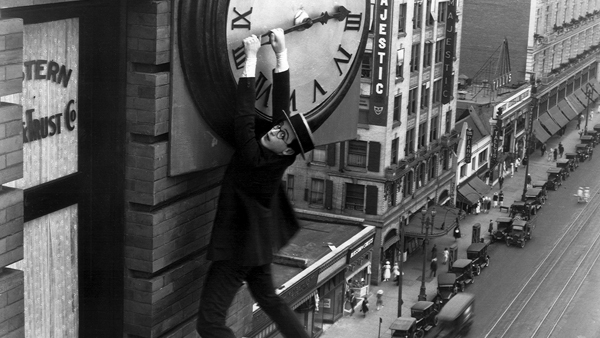 The silent legend practices slapstick with clockwork precision in his most iconic, astonishing comedy. 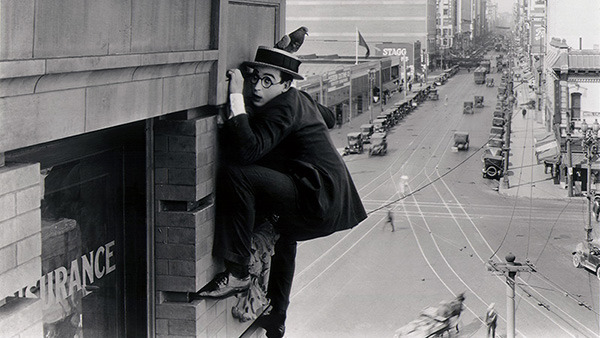 How the original comic everyman made us laugh and fear for his life.